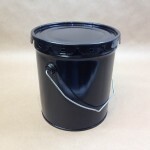 We stock 2 gallon heavy duty plastic pails in white and black. 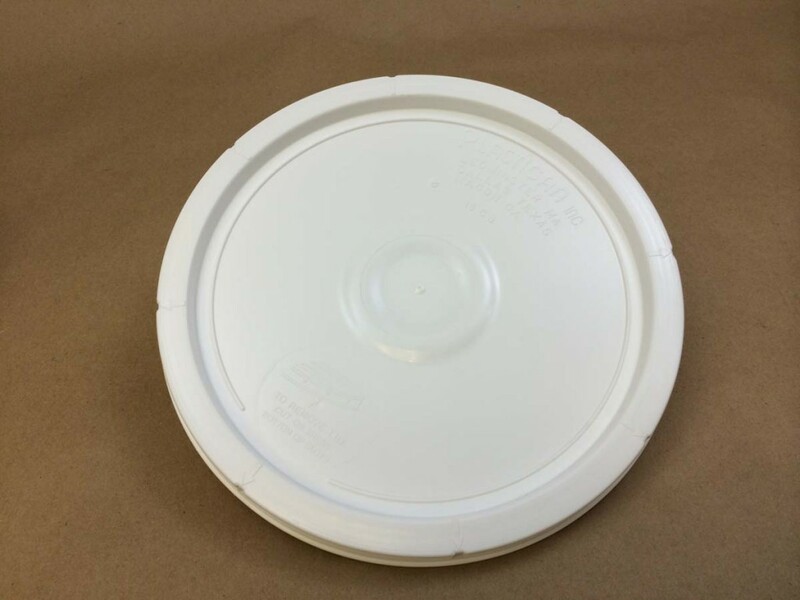 Gasketed covers are sold separately. 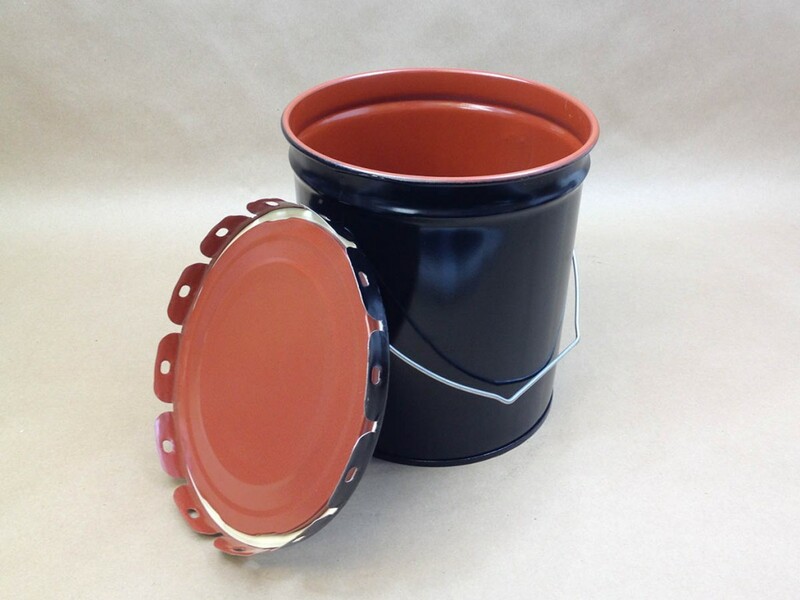 These pails (buckets) are made from high density polyethylene (HDPE) and are 65 mil. 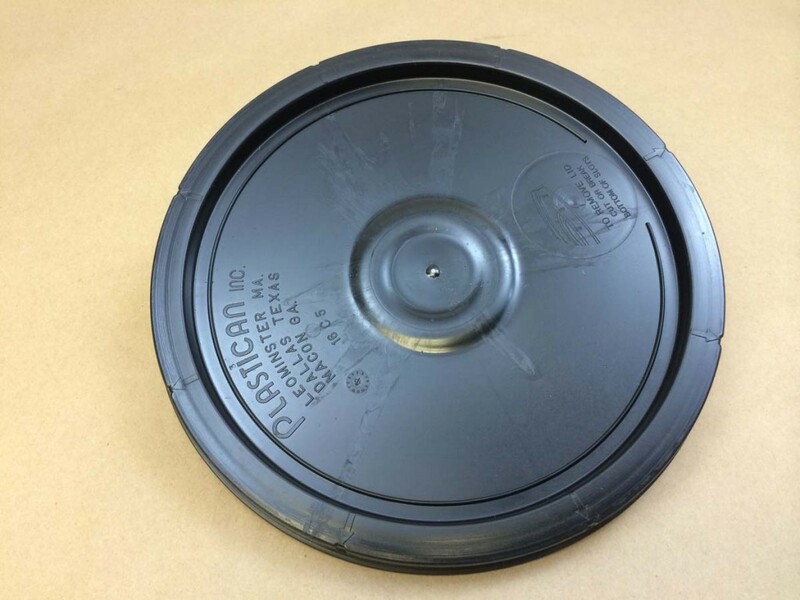 They have a UN rating of UN1H2/Y9/S. 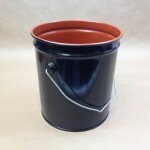 We also stock a 2 gallon open head lined steel pail. 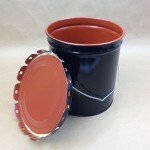 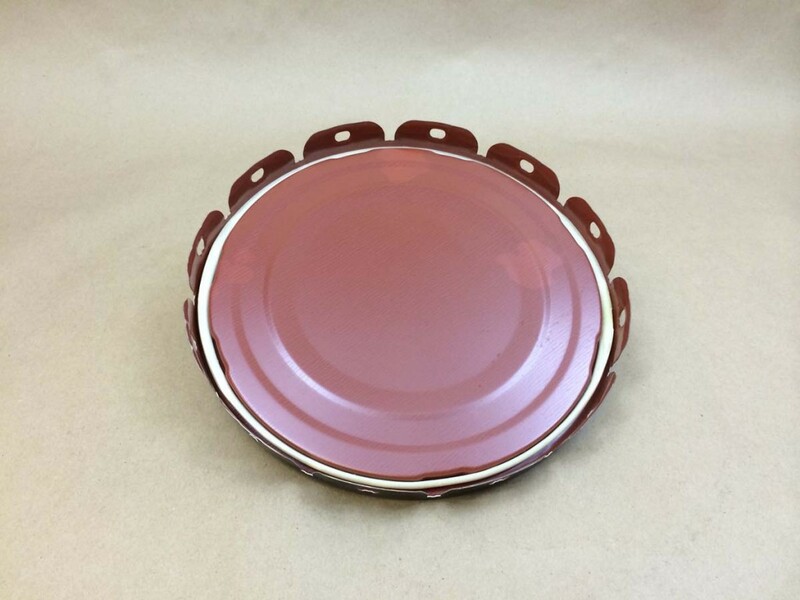 This is a black pail with a red phenolic lining. 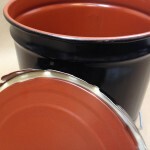 This pail has a UN rating of UN1A2/Y1.6/60. 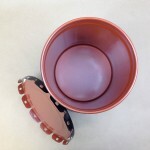 The lug cover (also red phenolic lined is sold separately.